Machine Woven. 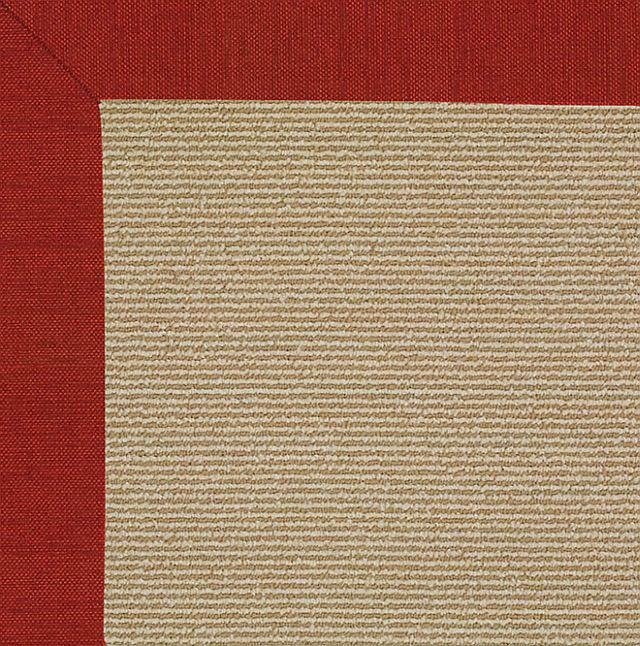 100% Olefin with a fabric border. For porches, verandas or busy areas of the house. Spills wipe away with damp cloth and warm water. Can be washed with water hose for heavy soiling. Allow to dry on both sides. No fringe. Sunlight resistant; fade resistant; non-allergenic. Excellent quality for high traffic areas. 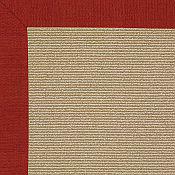 This Creative Concepts Canvas Cherry Rug measures 9ft by 12ft.